It is prefered that your dog does not attend the Induction Session, so that the Instructor can have full attention of attendees. Vaccination Certificate of your Dog (Present to Registrar). Aged Pensioner Concession (Present to Registrar to receive rebate). 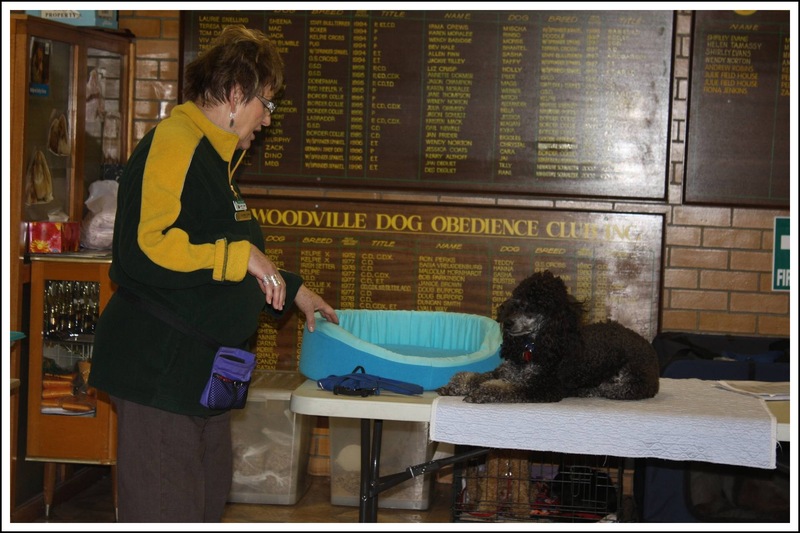 The Induction Session is run by our President Claire at 9:30am every Sunday (except long weekends when the club is closed) at the Woodville Community Dog Training Centre. What Is The Induction Session? How we teach you to use Force Free training – no shouting, pulling or water spray. The Club’s facilities, socialising programme, breakfast, and fun stuff. Learn the best way to reward your dog so they are eager to please. We do not allow the use of check chains, or slip collars, but will show you, and teach you, how to use the best equipment to send your dog signals so that it is under your control. Learn how to check out your dog’s condition, and how to use your voice to control, and bond with your pet. 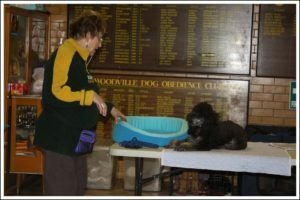 This session prepares you for the series of classes at the Club where you train your dog to sit, stand, stay, return, be social, and be calm in public. Just remember your pet is unique, and just like us will have its own personality, and habits. Enjoy them. and have fun training your dog. After you have attended the Induction Session, the following week you will either go to the Introduction Class, or Puppy Class, at 9:30am. Members are required to read the CLUB RULES before commencing training (Click Here for Club Rules). Woodville Community Dog Training Centre Inc. accepts no responsibility for injury to you, or to your dog, during training. Handlers are legally liable if their dog bites someone, or attacks another dog.